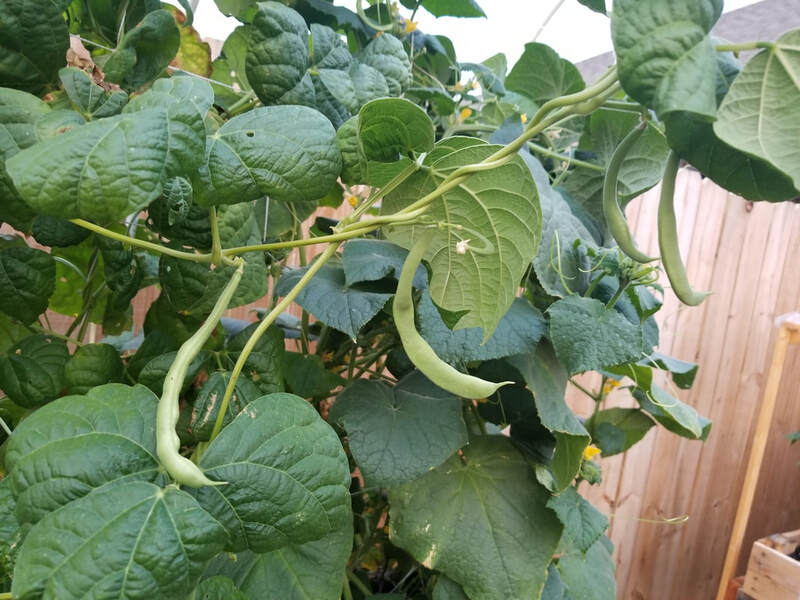 For the amount of green beans I planted, I don't think I harvested as much as I expected. As for this particular type of green bean, I wasn't much of a fan of it when I cooked it. All in all, it was pretty neat to see them grow but next year, I may try a different kind or skip it all together. 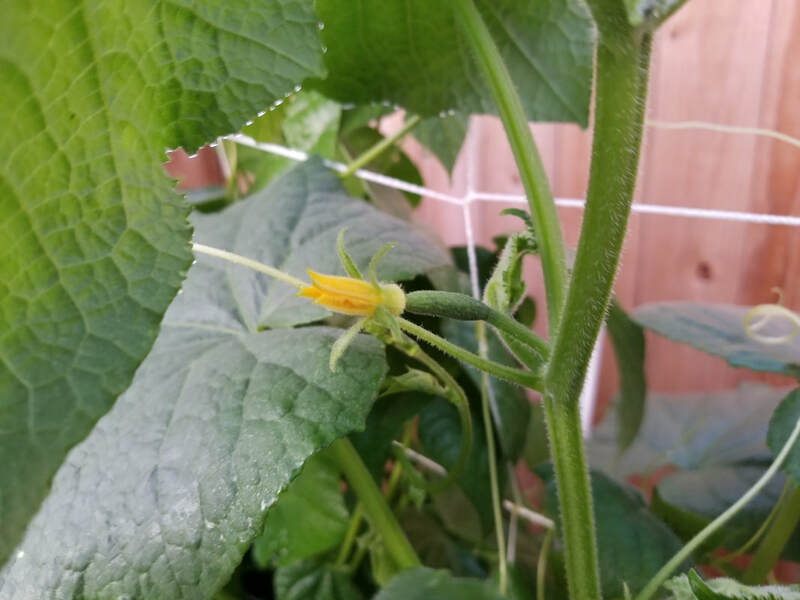 Cucumbers were probably one of the easiest ones to grow. 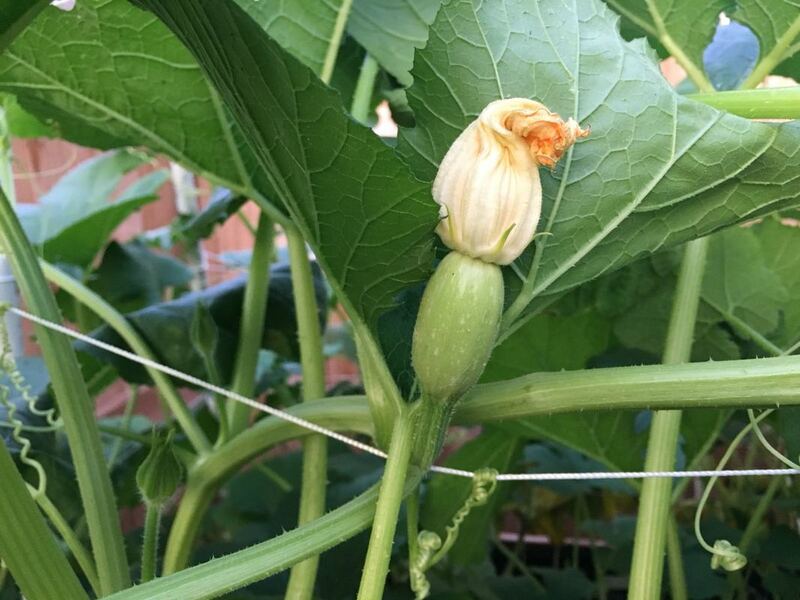 They grew very quick, produced cucumbers nearly on a weekly basis, and didn't have many issues when it came to bugs. 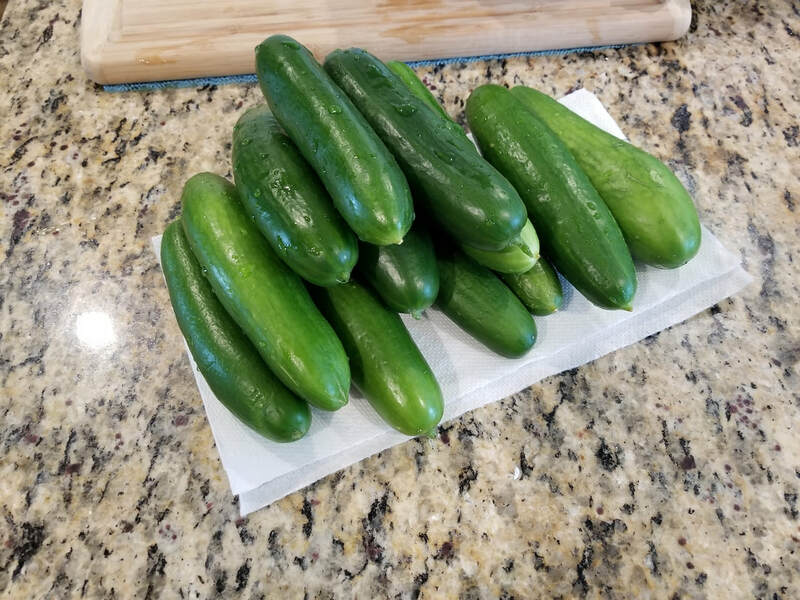 From only 2 cucumber plants, I was growing more cucumbers than I could eat and gave quite a few away for others to enjoy. 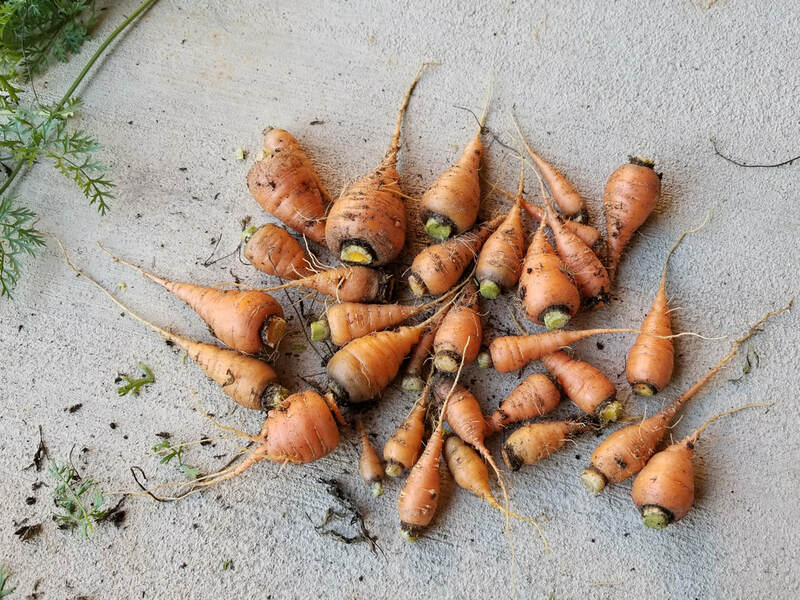 The carrots were time consuming and the harvest was not that great. 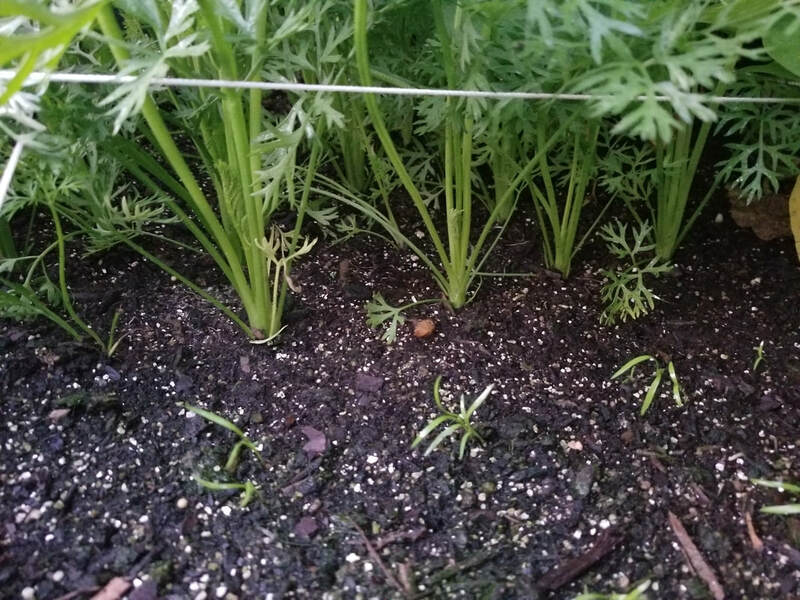 Maybe it was due to the type of carrots I planted. 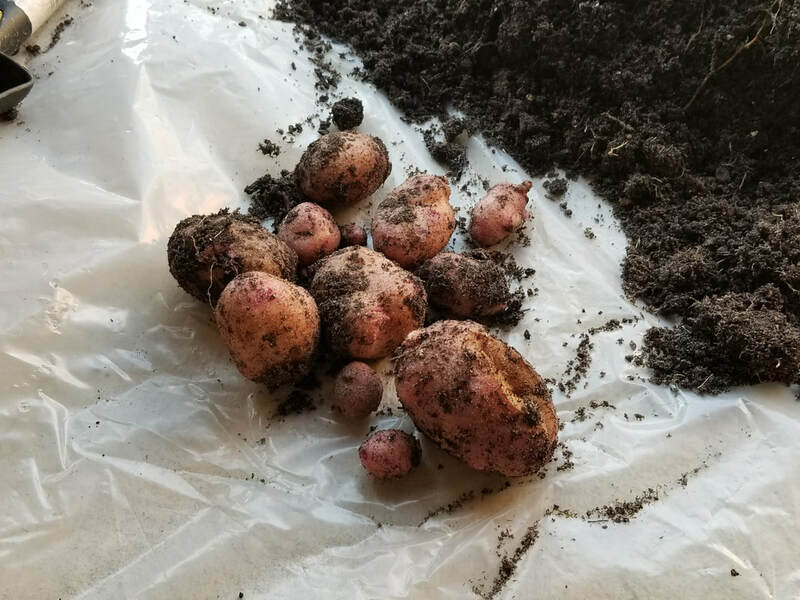 They are supposed to be short and I left them in the ground longer than the seed package recommended but they were much shorter than I expected. They seemed to flourish above ground, but the actual carrot was much less than expected. I may consider a different type next year or I most likely won't try planting carrots again. 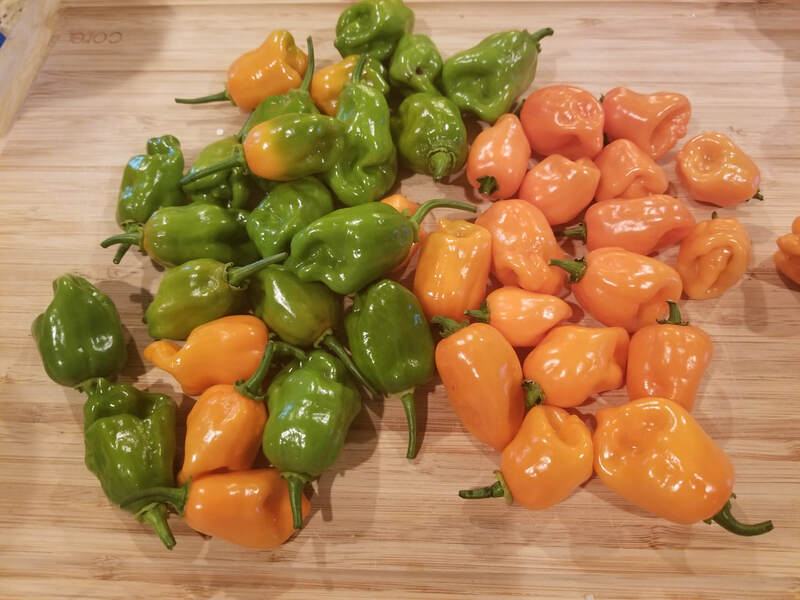 The habenero peppers were so easy to maintain and grew so much more than I could have imagined. I've been giving habenero peppers away by bagfuls because the harvest has been so plentiful from just 2 plants. Bugs definitely don't mess with these and they've been able to withstand the summer heat quite well. I will definitely be growing more and trying different kinds of hot peppers next year. The bell peppers took the longest to produce. 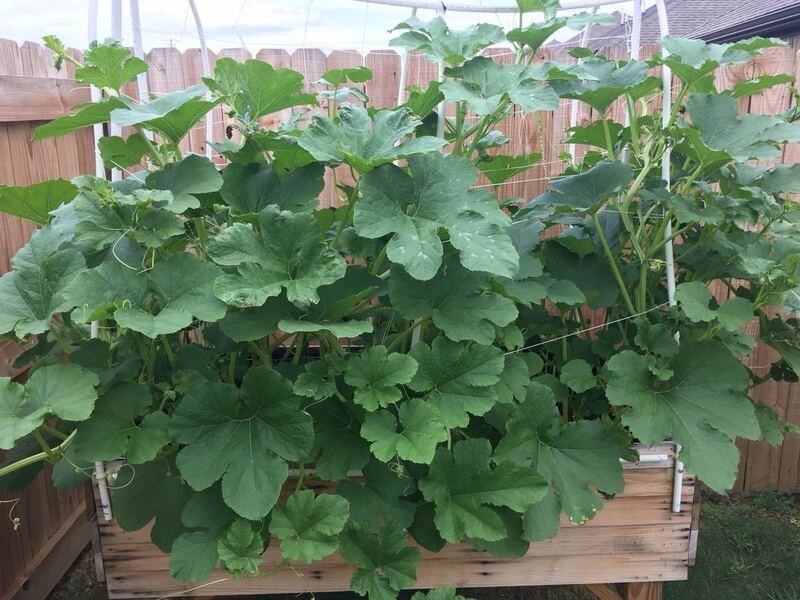 I started them several weeks indoors before the majority of all the other plants and they were the last to produce, second to the okra. But once they start producing, they keep on giving. 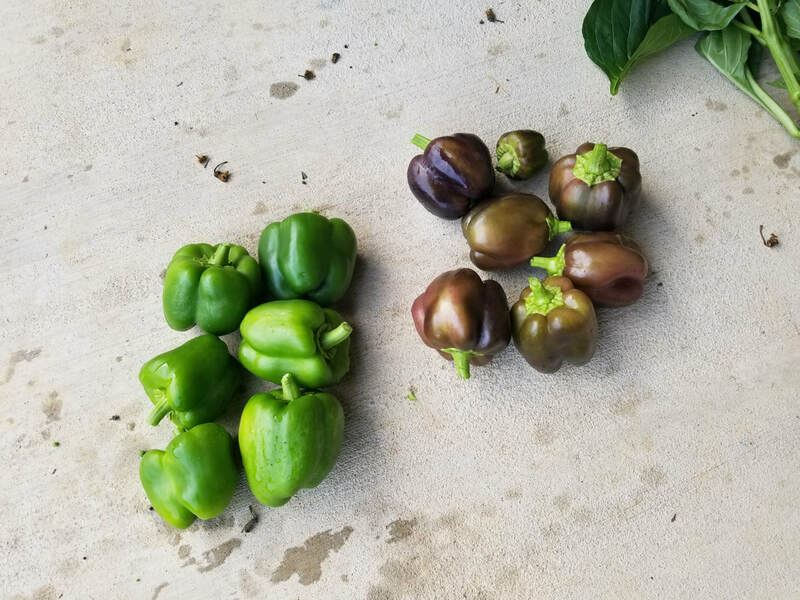 I had a variety of bell peppers, even purple ones that were quite exciting. I also had plenty to give away. 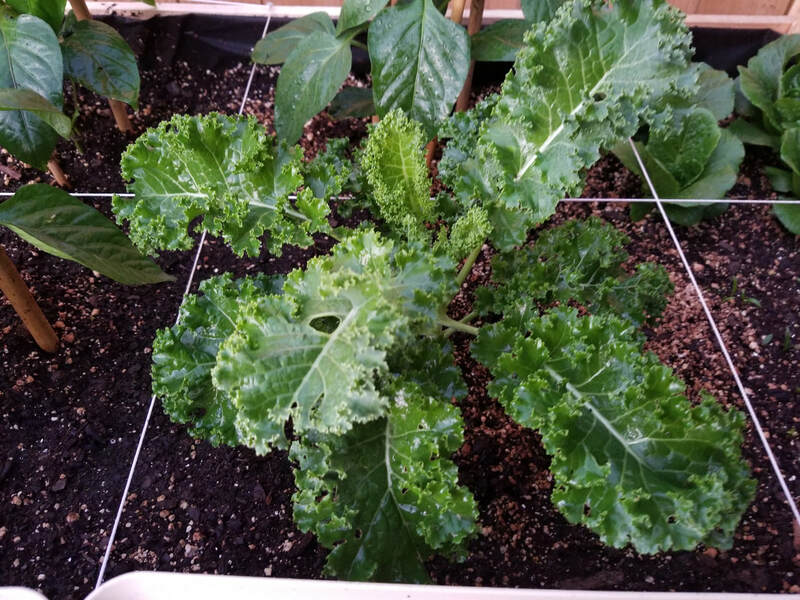 The kale took off quite nicely. 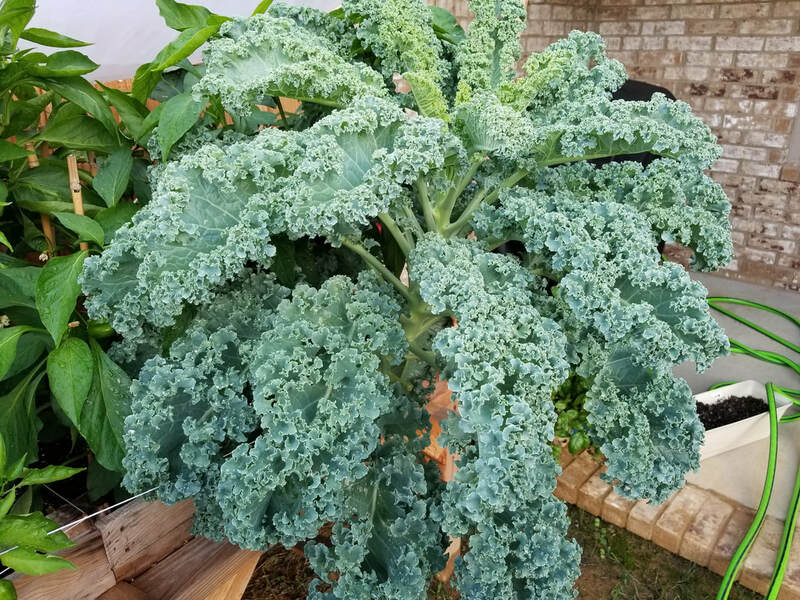 This one plant has made so much kale that I have a few bags of it in the freezer and it's still making more. I don't have any issues with bugs on this one. I love going out and snipping off some fresh branches of kale to saute. I am definitely growing more next year. 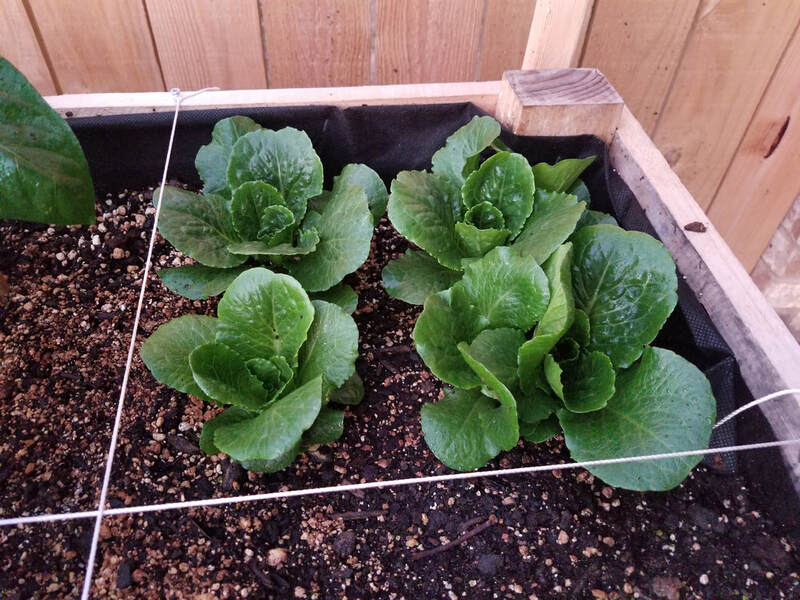 Unfortunately, I forgot to take subsequent pictures of my romaine lettuce. They grew quite well but they grew straight up which was a little unexpected . Also, the leaves remained short. 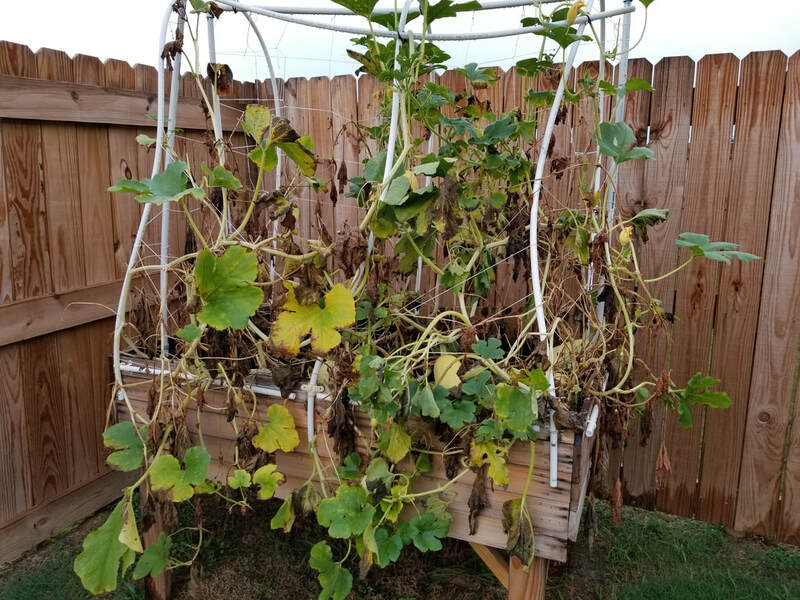 I harvested a little bit at a time for sandwhiches and salads but I felt they were a little bitter. I'm still debating on if I will do it again next year. Out of the 4 herbs I grew (basil, lemon thyme, italian flat leaf parsley, and cilantro), the cilantro is the only one that didn't make it. 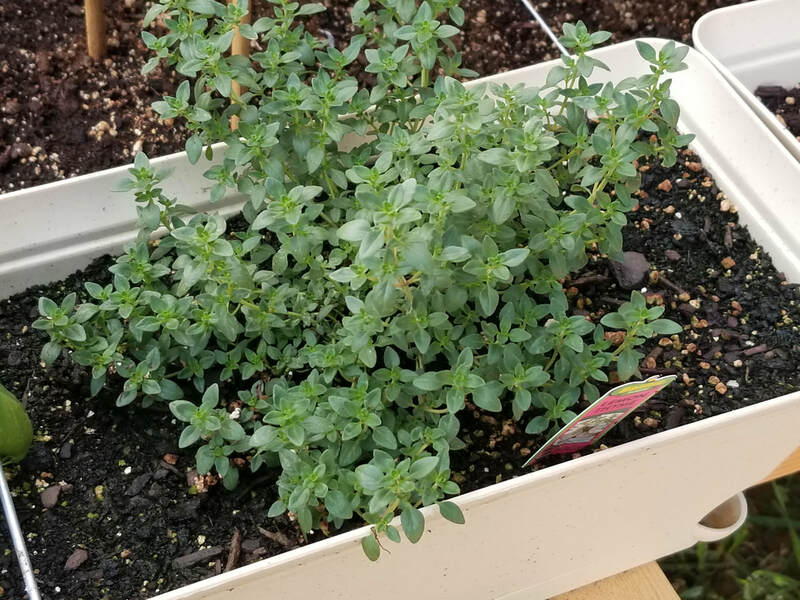 The scent of the lemon thyme is so good! Too bad I found a black widow spider in it once. 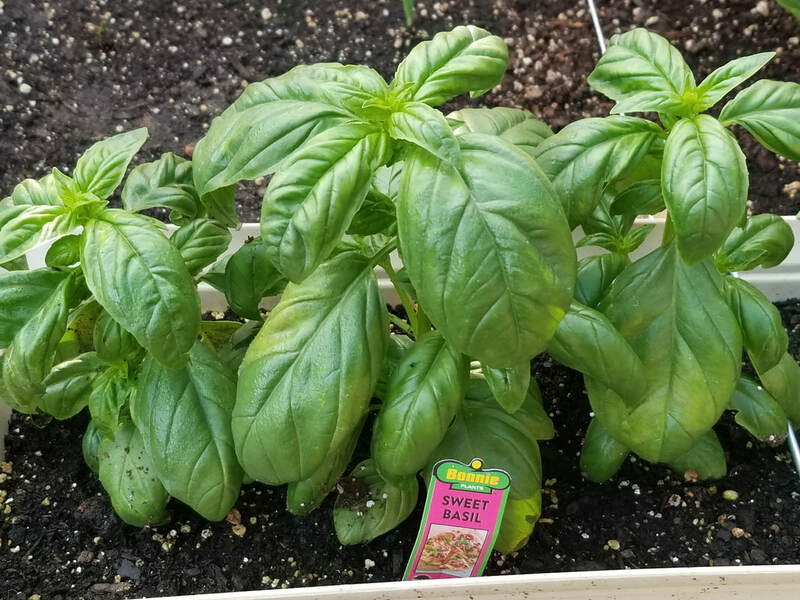 I enjoyed the basil using it in several pasta dishes throughout the season. 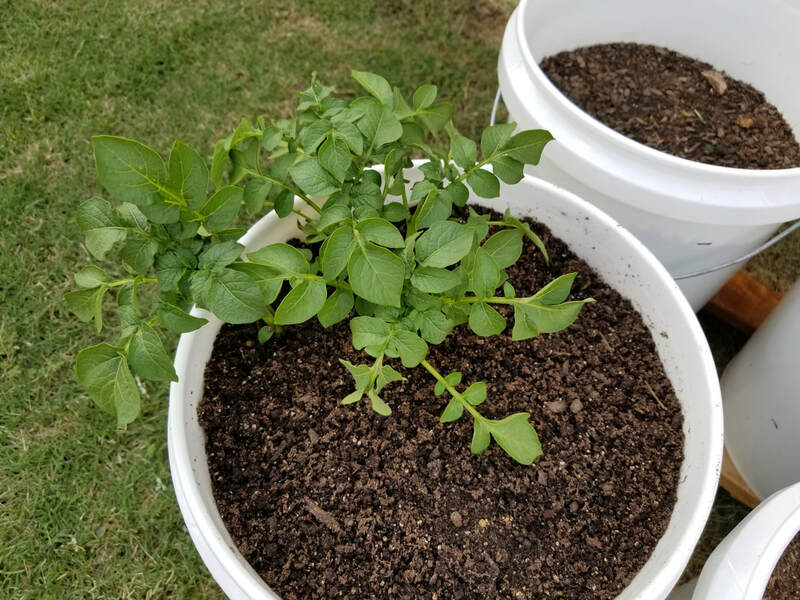 It's a whole lot cheaper than buying basil from the store when you have it growing in your own backyard. 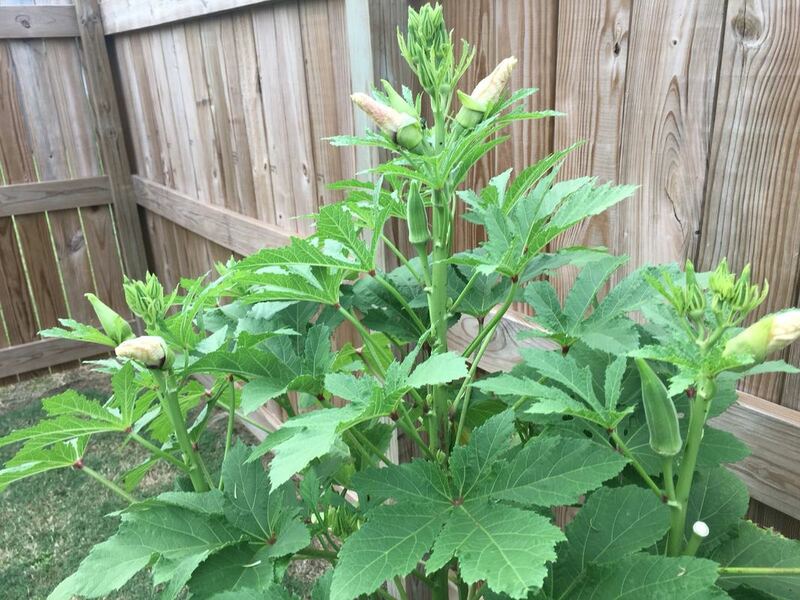 I planted 4 okra plants and only one plant made it through. 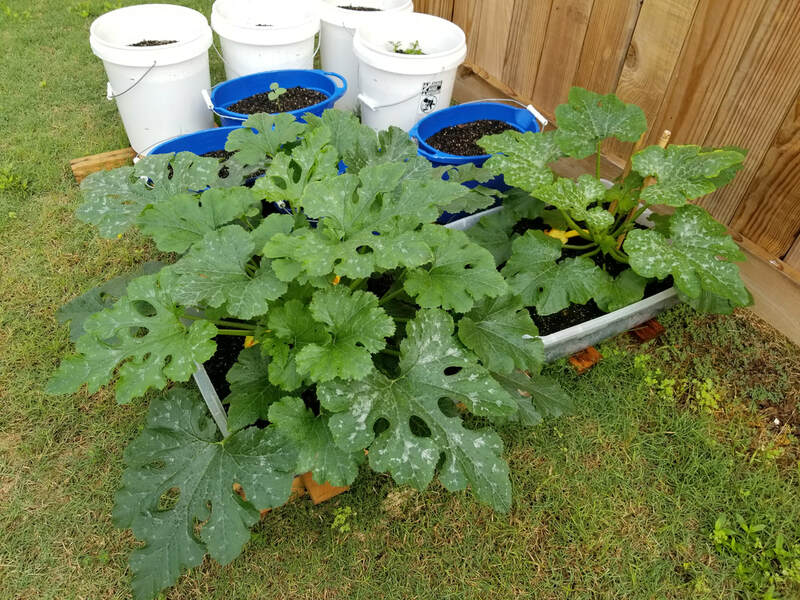 I got quite a bit of okra from it but they all came through at different times. Never enough at once for any particular dish. 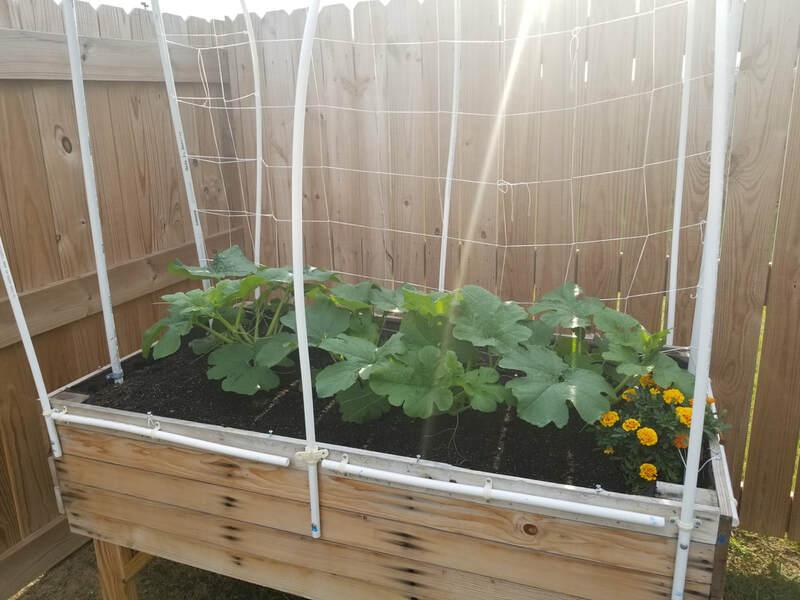 I'm definitely going to try this again next year in hopes for a bigger yield. 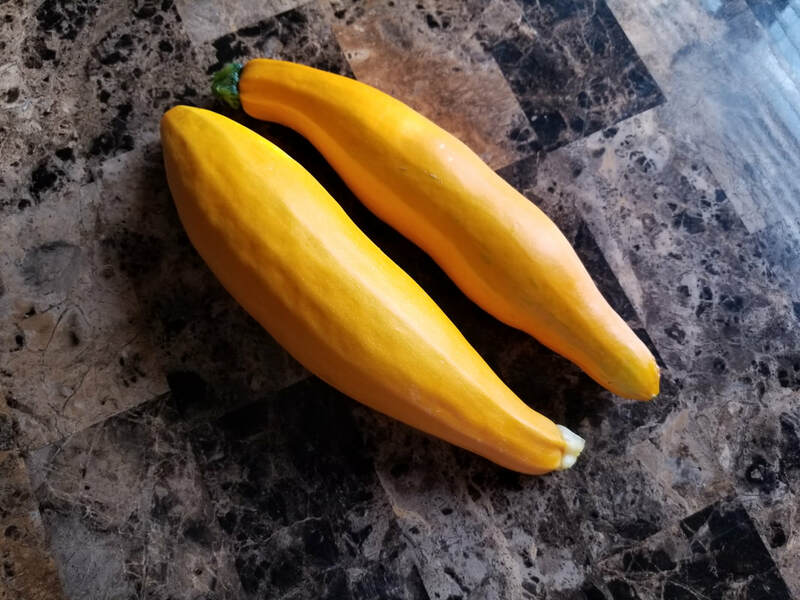 From my 2 golden zucchini plants, one of them produced about 9 zucchinis and I can't recall how many the other one made but it wasn't as much. The zucchini were fairly large in size. One was nearly the length of my forearm. Towards the end, I started having problems with squash bugs. They became a huge annoyance. 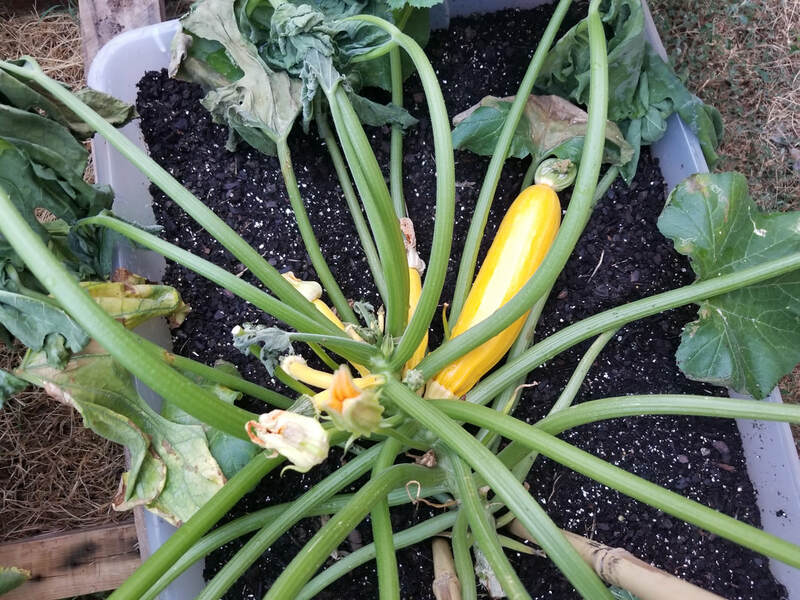 I was glad I was able to reap some good zucchini before the bugs took over. 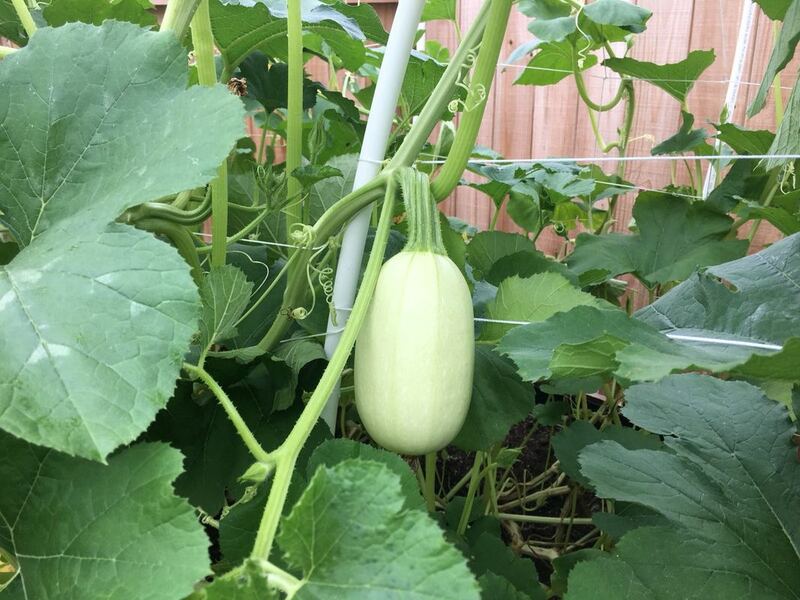 Towards the end of the summer, I replaced my cucumbers and green beans with spaghetti squash. 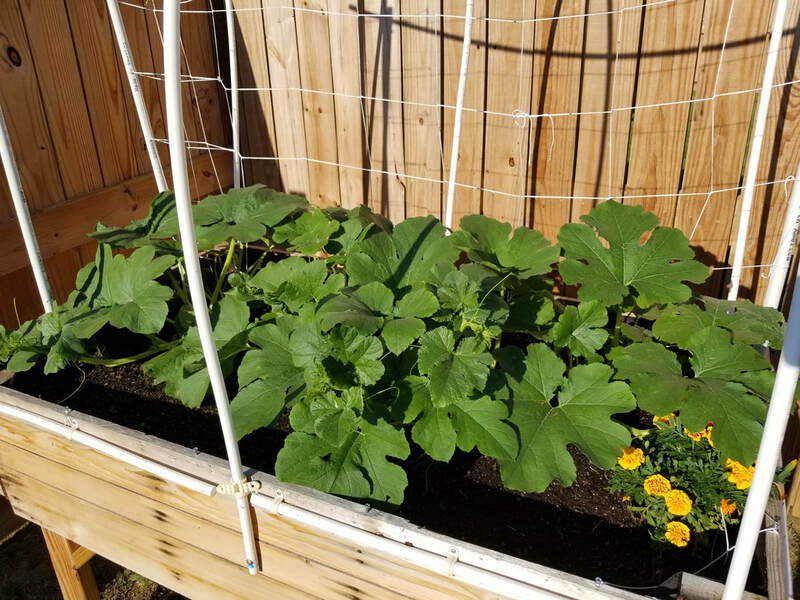 I planted 4 plants in this particular bed and it took off like crazy! 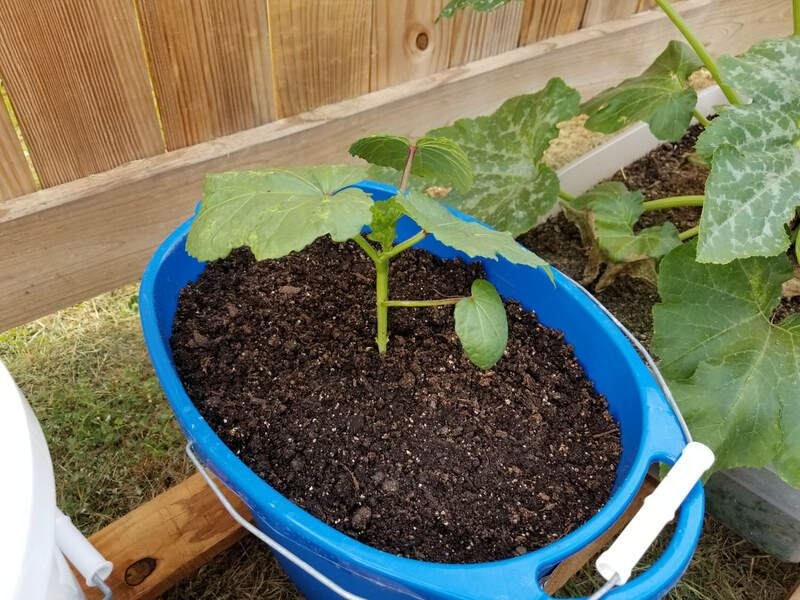 Unfortunately, I was away for a month for work and left the care to my husband to which he watered daily for me but didn't take notice to the accumulating squash bug infestation brewing until it was too late. 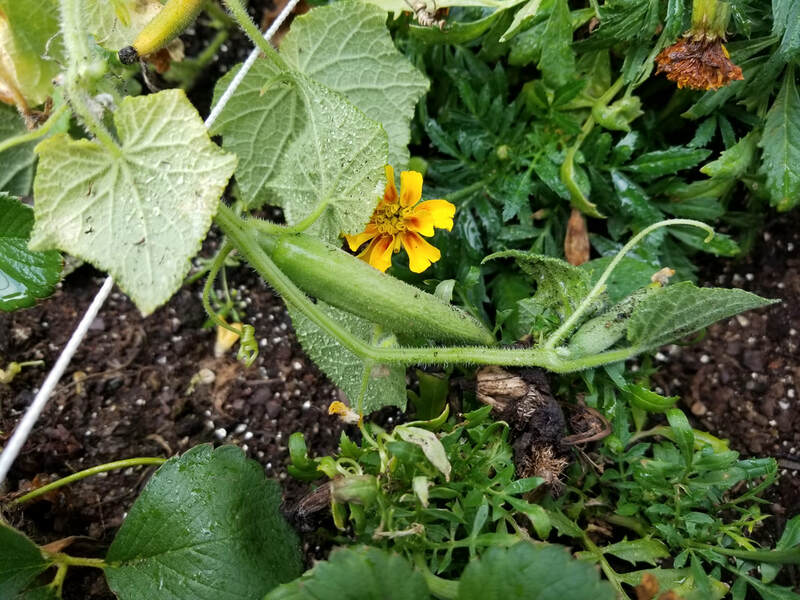 I've got about 8 spaghetti squash plants trying to survive but the leaves themselves have been destroyed. 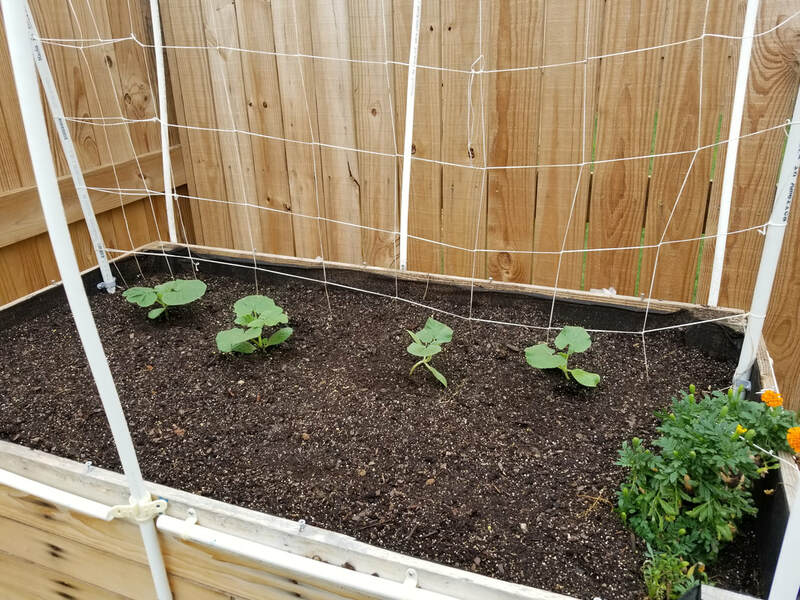 I love spaghetti squash and next year I will definitely be replanting these with special attention and care to prevent another infestation. There were a few other "trials" that did not survive the season. I tried strawberries, potatoes, spinach, and onions in addition to what I mentioned above. Unfortunately, they didn't make it too well. I will continue to try spinach in the fall when the sun is not so hot and we will see how that goes. 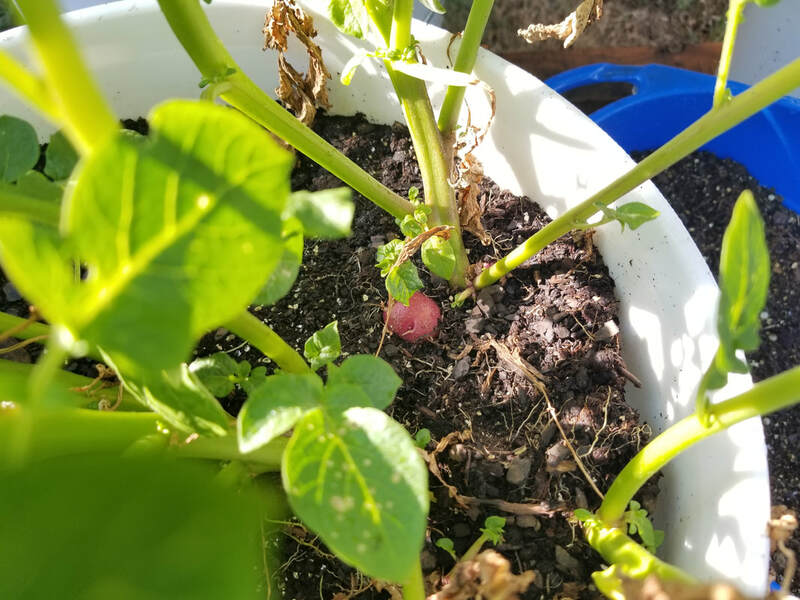 What type of fruits/vegetables would you like to grow? Any thoughts on this garden or advice for a better yield?